When mother nature was giving each animal it's own look do you think she knew that she was making the penguin the best dressed of them all? These arctic birds are always dressed their best for any occasion. 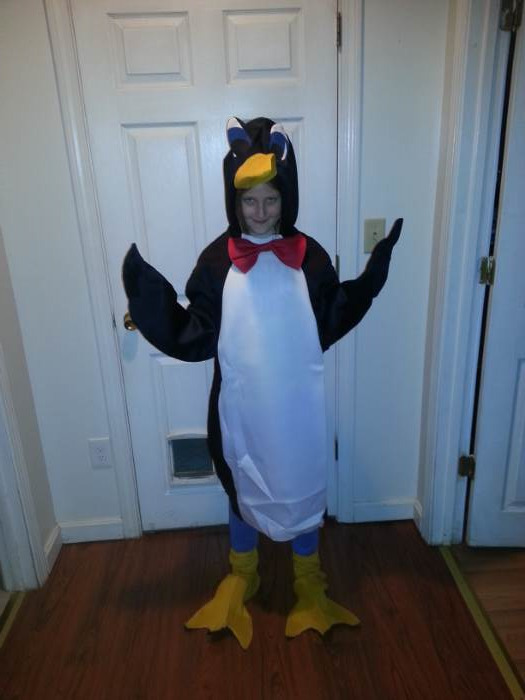 We don’t call a tuxedo the Penguin Suit for nothing, right? While we think the penguin is quite a fancy bird, indeed, we think that it may just be a trade-off for having to live in sub-zero temperatures for most of the year and being a bit slow on land due to their limited mobility. But, even if they do have a few evolutionary setbacks, their style speaks volumes and puts them at the top of the animal kingdom, if you ask us (their natural predators may disagree). Now you can look just like the fanciest bird to ever exist in this awesome animal costume. 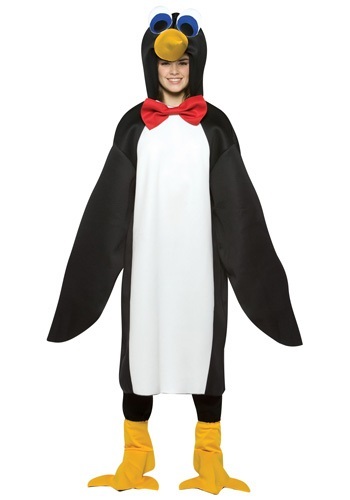 This penguin costume will help your teen complete their transformation into everyone’s favorite animal this Halloween. The polyfoam tunic is black and white, just like a penguin, and it has holes for the hands on the wing sleeves. An attached red bowtie really pops and the attached shoe covers look like yellow webbed feet. The real magic happens in the hood, though, with its penguin eyes and beak! The attached hood really makes this costume stand out from the rest and makes it infinitely better than a homemade penguin costume. If your teen is feeling frisky they could even wear this costume to prom. After all, it is a penguin suit, right? Fits good for my 11 year old. Room to wear a sweatshirt or jacket underneath for a chilly trick or treat. Really cute. Was delivered well before expected. Good quality. My daughter doesn't want to take it off. This costume was fabulous! Very well made. I wore it for an mud obstacle course race & all the mud washed out! It looks brand new! Adorable. Great fit. Granddaughter loves it.